The South used to be full of impressive pre-civil war architecture, built from the bounty of the region's lucrative plantation economy and sustained by generations of forced free labor. From the Louisiana low country to Virginia's rolling hills, the Southern landscape was dotted with high style structures designed in the vernacular of the region. Randing from primitive to extravagantly ornate, the architecture of our ancestors captured the spirit of the time and place in which it was built, and it told a story about the people who inhabited it. One of the most recognizable pieces of Southern architecture is the grand plantation house with whitewashed limestone walls, soaring columns and winding staircases. 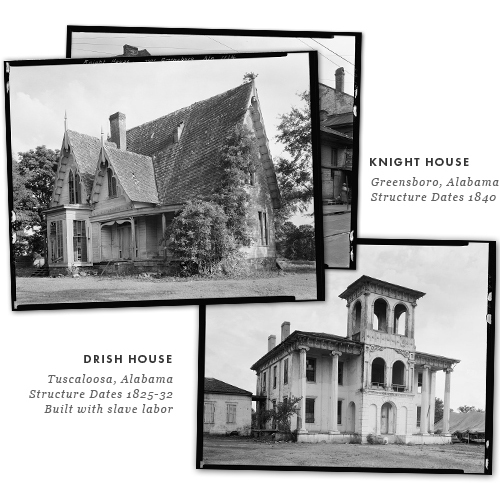 These houses were symbols of industry and oppression and they began to fall apart in the late 19th century along with the institution of slavery that made them possible to begin with. When slavery was abolished, it became too costly to maintain many examples of iconic Southern architecture. Sprawling plantation houses were slowly boarded up, and intricately bricked cotton warehouses sat empty. By the early part of the 20th century, automobiles began to creep across the nation, supplanting railroads and making it possible for Americans to move away from cities. The small Southern towns that had grown up around railroad tracks began to fade and soon many of our best examples of Southern architecture were crumbling. 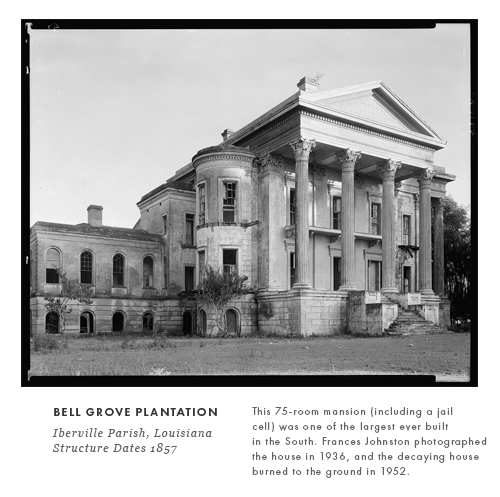 Fortunately for us, the architectural photographer, Frances Benjamin Johnston saw the old South crumbling around her and in the late 1920's she began recording the remaining examples of early Southern architecture. The Carnegie Corporation funded her project to document over 1700 structures and sites in the rural and urban South and the Library of Congress acquired the collection after Johnston's death. Now the entire collection is available online. I have always been architecture obsessed and this collection has intrigued and inspried me for years. I've spent hours exploring the images, sketching my favorite buildings and fantasizing about the history these buildings witnessed. Later this month I'm going on a road trip to visit a few of the remaining structures on this list so I thought this would be a good time to share this incredible resource with you. 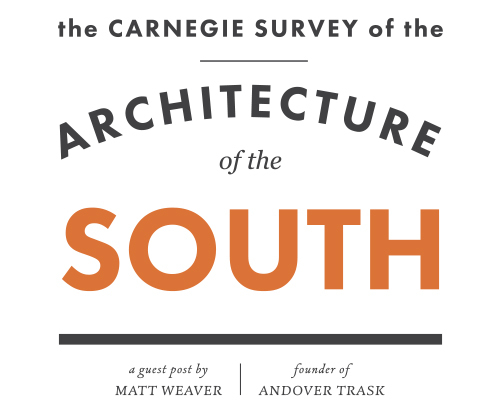 You can see the entire Carnegie Survey of the Architecture of the South, here.